DOCTOR WHO - Six of One... | Warped Factor - Words in the Key of Geek. The youngest Doctor in the programme’s history has just handed over his Tardis key after a noble sacrifice, to be replaced by a much more alien, older, argumentative incarnation, with much less of a connection to his companion. The new Doctor’s first story has split fandom right down the middle – some are intrigued and enthralled, others howling at the unfriendly characterisation of the new Doctor, and the quality of the writing. No, this isn’t 2014, this is 1984, when Peter Davison, the youngest Doctor we’d ever seen, who’d won our hearts with his enthusiastic, sweet, kind and relatively mellow interpretation of the role had been swept away by the bombastic, explosive Sixth Doctor, played by Colin Baker. A slightly laboured way of making a simple point? Perhaps, but it’s a point worth making. If you’ve been round the Whovian block a few decades, you’ll understand that the current chorus…well, maybe the current quintet…of disapproval is absolutely nothing new. What is possibly more, back in the 80s, we had rather more to be worried about than any 21st century Whovian. The showrunner was trying to do impossible things on half-a shoestring, and while still popular with viewers around the UK, there were executives at the BBC with no tradition or understanding either of science fiction generally or of the unique place Doctor Who had in the nation’s heart. 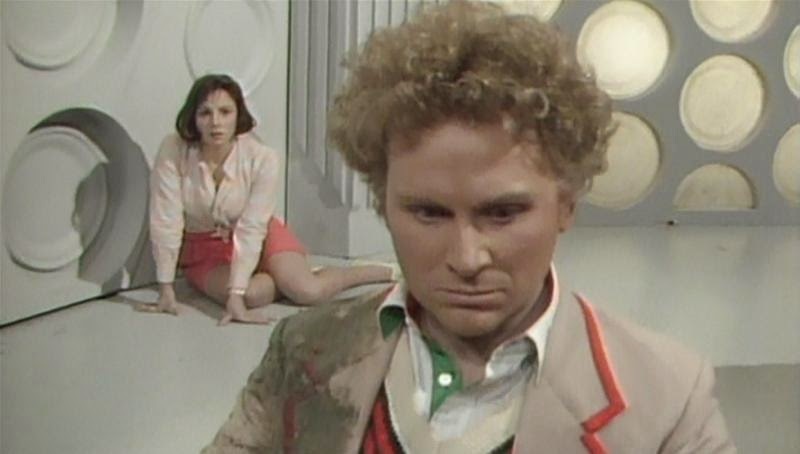 And for anyone worried about the writing in Series 8 so far, one simple piece of advice: go back and watch The Twin Dilemma, Colin Baker’s first story, and then try and prove you have annnnnnything to worry or whinge about. 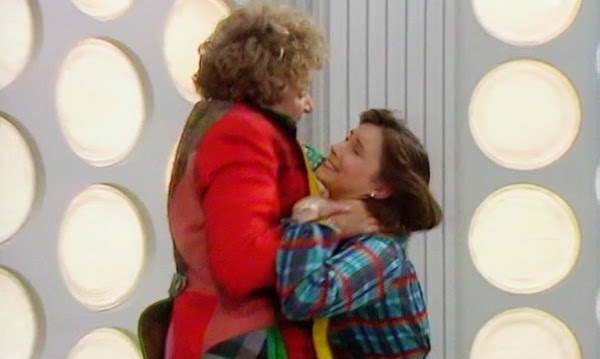 We had just said goodbye to our Doctor, our much-beloved young Doctor, in a story which, thirty years on, still always makes it into the Top Five whenever the best story polls come out, and then bang! – The very next week we were presented with the objectionable Sylvest twins, a giant slug that actually managed not to even look like a giant slug, a Doctor who throttled his companion, and a plot that had no internal consistency. Then, and only then, did the series end, leaving us worried for the future of the character and the show we loved, and with nothing to reassure us over the development of the Doctor. 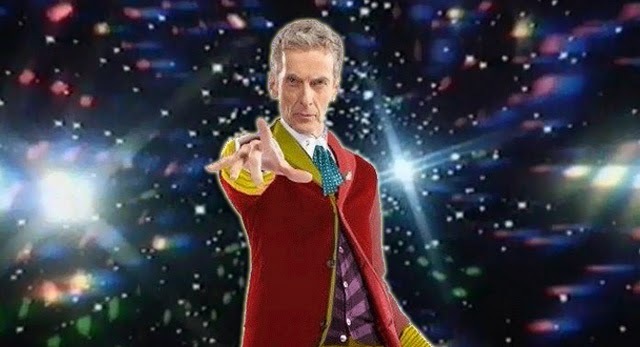 It is of course faintly ridiculous to compare a Doctor who’s just four or five episodes into his time with a Doctor who hasn’t been seen on screen in more than 25 years, but it’s also worth considering that by the end of Series 8, Peter Capaldi will have been the Doctor through more on-screen episodes than were ever granted to Colin Baker. Both would fight Daleks and Cybermen, and both would have their adventures meddled with by outside, hidden forces – the Time Lords in Baker’s case, and “Missy” in Capaldi’s. They both followed a very popular younger Doctor, and had a young companion who struggled a great deal to find her footing with them after their change. Despite a degree of verbal dexterity in both cases, neither were particularly “bantering” Doctors, compared to the likes of Tennant or Tom Baker; they were more… shouty Doctors. But most significantly, they both wanted to “do things” with the role, to give the Doctor a spiky, alien persona that did not in any way “fit in” with modern humanity, but which evolved and developed over time. In the 1980s, despite broad family viewing figures, fandom was largely the invention of young people and over-earnest teens. Colin Baker’s Doctor, and the very idea that a Doctor could evolve his personality over time rather than being all there if not on day one, then at least by the end of Episode 4, split fandom into two camps. There were those who cried “It’s all over!” and ran away gibbering to lovingly stroke old copies of Doctor Who Magazine, and who, more seriously, were used as an example by the executives who didn’t want Doctor Who to be the drain on the budget it was, to explain that the show was waning in popularity and so could be cancelled – or at least rested – without much impact. They forced the rest of us to mobilise and buy copies of the excruciating, hellish lift-music wannabe-single that was Doctor In Distress (Yes, I bought that appalling puddle of vinyl vomit. Still, clearly, a little bitter…). By deserting the ship in response to a version of the Doctor they didn’t like and by not understanding the potential of the character to evolve, they unwittingly handed power to people who wanted there to be no Doctor Who, and forced the rest of fandom to identify itself as geeky in the first instance, prepared to campaign for the return of a TV show. Before we get carried away, let’s not push the comparison too far. To quote the Fifth Doctor’s final words, “feels different this time.” Fandom is different – bigger, broader, with more diverse opinion not only “allowed” but unstoppable and immediate. It is a more literate and nuanced thing, understanding story-arcs in a deeper way, understanding character development on the back of three successive Doctors who were not the same people when they left as they were when they arrived. The show itself is different – not a drain on BBC budgets, but a staggering worldwide money spinner. And with that comes perhaps the biggest difference: Doctor Who does not have to work hard to get headlines, and it is generally appreciated as a cornerstone not only of the TV schedules but to some extent of the national identity. It has conquered much of the globe. The concerns that dogged Colin Baker’s time in the Tardis have all but evaporated, so it is to be hoped fandom allows Capaldi, who says he has yet to pin down exactly who his Doctor is (after having recorded, let’s remember, more stories than Baker ever got the chance to do), the time and space to evolve the role as he and the writers want. As the Sixth Doctor has more than proved by his phenomenal success on Big Finish audio (he’s generally regarded as the best audio Doctor and has long lost the paint-explosion costume), given time, even Doctors who begin with stories as vastly unpromising as The Twin Dilemma can evolve into popular heroes fit to wear the name of the Doctor. Where those who begin their lives in stories as good as Deep Breath can go, we have yet to see.